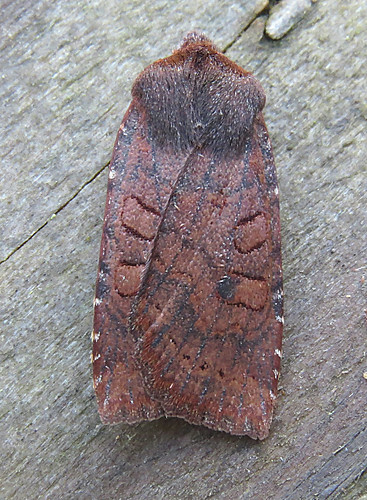 October moth recording at Tophill Low NR, East Yorkshire carried on in the same vein as the previous nine months with surprises appearing at the lights. 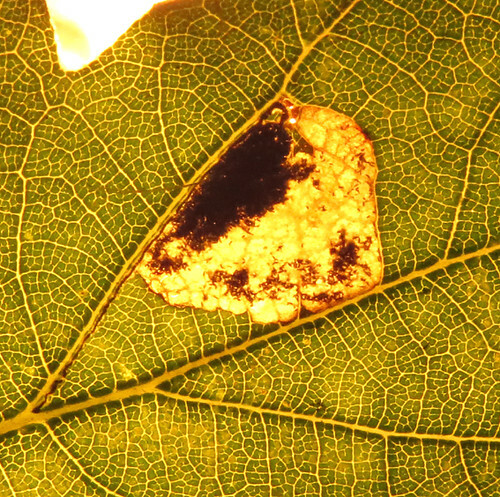 This Gem Nycterosea obstipata on the 3rd was only the second site record – the previous occurrence of this immigrant species being back in 2005. 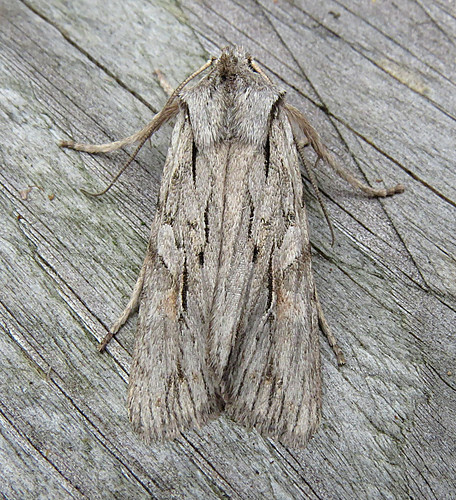 First recorded in 2007, Blair’s Shoulder-Knot Lithophane leautieri had been trapped on just three occasions up until 2014, so this individual, also on the 3rd, was a welcome addition to the reserve year list. The 500th species to be recorded at Tophill Low NR this year appeared on the 5th in the form of this Dark Chestnut Conistra ligula. 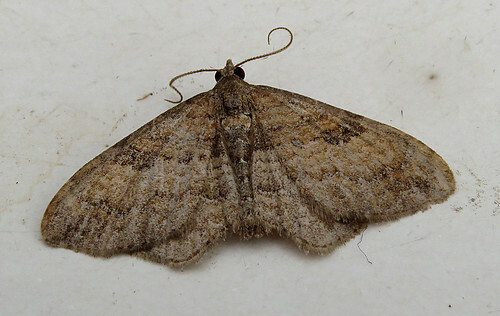 Another scarce species in the site’s history – this the 15th individual in 11 years. 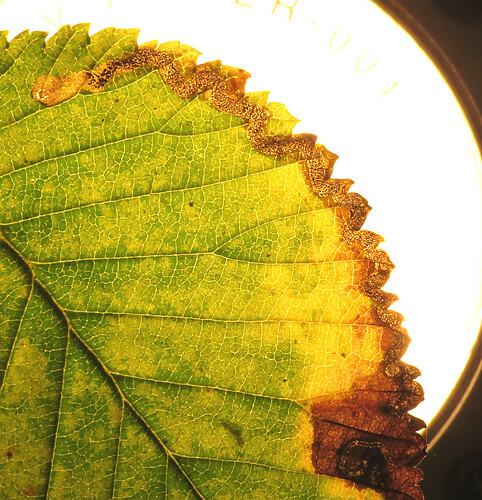 In the past, study has been done on Lepidoptera leaf mining species and since the turn of the month several species have been recorded. 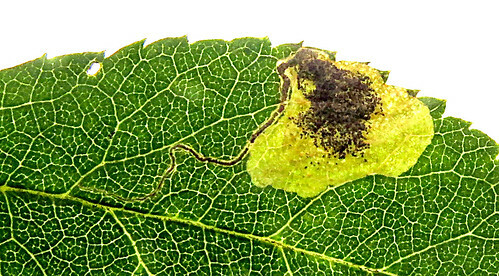 Stigmella glutinosae above was found on the 7th on Alder Alnus – the two larvae examined to separate it from the similar S. alnetella. 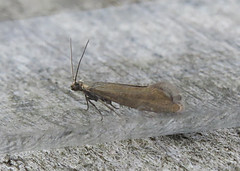 On the same date, S. lemniscella was found on Elm Ulmus – both new species to the Tophill Low NR species list. 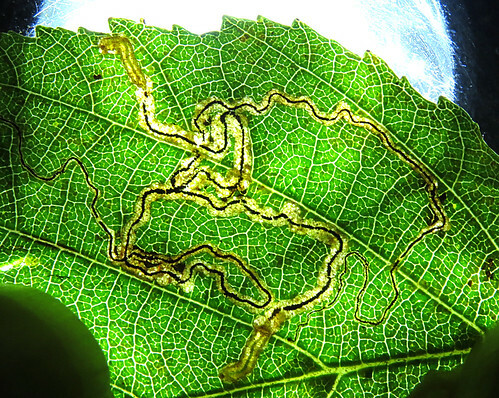 Two of the commoner species seen in the last few days included Stigmella plagicolella on Blackthorn Prunus and Ectoedemia albifasciella on Oak Quercus. The current tally for the year 2017 is 506 species with hopefully a few more to add in the coming weeks ahead. Away from moth recording, a small turnover of Mediterranean Gull Ichthyaetus melanocephalus has been noted on several dates with up to 3 present at any given time. Lesser Redpoll Acanthis cabaret were in evidence in small number during the first week of the month, and the same or another Great White Egret Ardea alba flew through the reserve on the 7th with several Whooper Swan Cygnus cygnus through on the same date. 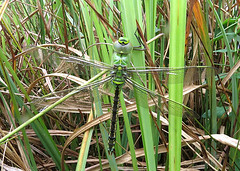 As ever, for the latest news from the reserve, check out the site’s blog and twitter feed here.